“If you just set out to be liked, you will be prepared to compromise on anything at any time, and would achieve nothing.” Margaret Thatcher. Margaret Hilda Thatcher embodied these words. To some she was an icon of assertiveness and conviction, to others, she was just a bossy old lady. Perhaps no other prime minister in the history of Britain has been loved and reviled at the same time as she has been, but that is who Margaret Thatcher was. To judge her on her political and economic beliefs solely would be to overlook her love for her country and her superhuman steadfastness to stick to any cause she believed was right in undertaking. Maybe this is what irks her detractors. I am not a British national and she wasn’t my prime minister, nor does my country have any happy memories of her (remember her support of Zia’s regime? ), so what compels me to write about her? Margaret Thatcher was never one to shy away from unpopular decisions which she thought were for the greater good of the people. 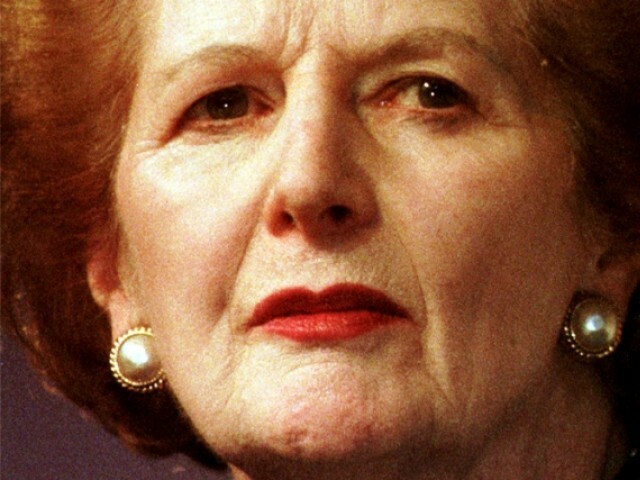 Whether, it was taking on the lethargic and unproductive bureaucratic apparatus or clamping down on the excessive power of unions, she withstood all assaults and intense criticism, and by the time she was forced out of office, she had taken Britain out of near economic collapse to a confident free market economy. Many of our leaders had a chance to change our economy, make decisions that might have angered us at the time but could have saved our coming generations, but they didn’t. They rode on the wave of massive election wins, with heavy mandates and clear parliamentary majorities, but their love of power held them back from instituting desperately needed reforms, regarding discriminatory laws, land distribution, dam construction and so on. In her view the government should not legislate and provide for everything. She made the citizens stakeholders in policies, reduced the size of civil services to spend more money on basic amenities and set strict goals and targets for government agencies to achieve. And what does our government do? They increase the number of ministers and cabinet members and place no checks and balances on the funds being used for public services. Perhaps the incumbent government might want to take a leaf out of Thatcher’s handbook. When Margaret Thatcher came into power, Britain was in shambles, it was on the road to irrelevance in the global scenario because it was still latching on to the memories of the once glorious empire. Of course, somebody was needed to shake them out of the resultant torpor and initiate reforms that were taking place in other economies. And she with an iron will and dogged determination achieved them, even though the odds were heavily stacked against her. And what is our situation? We see the world as a menacing scheming, conspiring entity that is out to destroy Pakistan (as the ghairat brigade made us believe). This grand delusion has hampered our path to progress many times. We need a leader of Thatcherian realism to shake us from our collective paranoia induced lethargy and reassert us on the global map. There will be a time to debate on Thatcher’s policies but now not the time to do so. Now is the time to take notes from her life and works, and integrate them into ours to better ourselves. She will always remain a global beacon of hope, not only for the women, but for those who face adversity and remain true to their goals and never bow down to unjust demands. Very unique article. Thatcher’s policies were tough but people must remember that it was her free market adventure that paid dividends in the end. It is archetypical for the bloggers here (and everywhere else) never bother to have a reality check. To some she was an icon of assertiveness and conviction, to others, she was just a bossy old lady. That’s the typical Pakistani’s response to any problem facing the country. They have absolutely no idea or clue what the teachings are but they say it anyways, probably make themselves feel better. As for the original article, an interesting write up. I wanted to debate her policies but apparently this article is not the place. I was talking to a British colleague of mine (he’s in his late 50s) and he told me that Thatcher implemented the will of the people, unfortunately the people did not realize what was good for them and what was bad. God forbid that we may ever get a leader lik her. restricting government regulations while propagating the market mechanism to be efficient has brought us to the verge of global economic collapse and worse kind of wealth distribution. It is amazing how people overlook the policies and simply get carried away by the personalities. while direct government intervention may distort the market, less government regulation and overlooking the possibility of social returns to be greater than private returns (hence under-supplied public goods) is worst that can happen to a country. and btw less government does not necessary mean more power to the people. it can very well also mean more power in the hands of few capitalists/banks. I was hoping that the author would conclude that progressive democracies including Pakistan do not need divisive leaders like the Lady from britain. In fact this is te problem of Pakistan, it needs a leader which unites them. The Lady was everythng but british; always felt boyant in the company of old and young MEN, had no understanding or feelings for working class families, supported capital holding Banks and Business and deprived labour of their livelihood and dignity. She squandered Government assets and gave free ride to Private Industry. The scars of her mismanagement can be.seen in the downfall of British manufacturing base. She is gon to have a state funeral against the backgound of others who are opening bottles of Champagne with the cry, ” the witch is dead”. I am sure the Author does not wish to have such leaders for Pakistan. I hope ppl of pakistan realize that their vote has the real power and bring to power a party who is capable of producing leaders life M.Thacher. 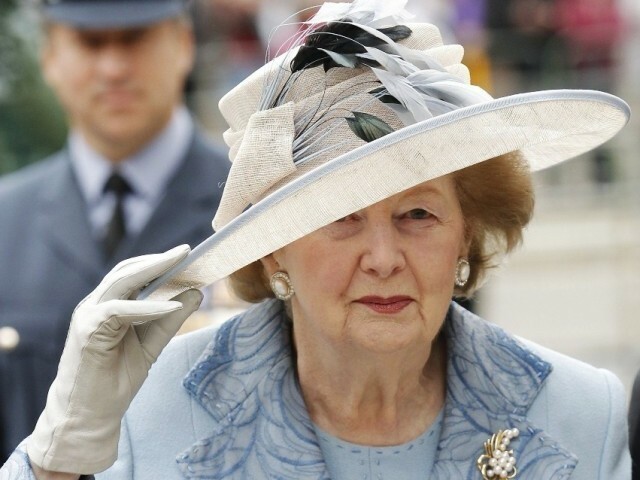 Maggie is loved by the people who benefited from her policies but loathed by those who lost i.e. the blue collar work force. She did transform Britain from a manufacturing to a service based economy. Did she have innate vision that saw the death of manufacturing in the West and its shift to other countries with lower costs of production i.e. China ? Which came first ? Who knows, and there can be books written on this topic and it is the stuff of doctoral thesis. What Pakistan needs is a leader like Kemal Ataturk. Someone who will ruthlessly remove religion from public life and make it a personal matter only. Agree with author, without going over her bad policies, how about focusing on the good points? But i am afraid that we as a Nation just love to criticize and complain rather than picking out the positives from anything. 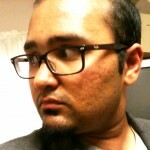 I must commend the author for coming up with such unique and original blogs. Ms. Thatcher is celebrated for introduction of public sector reforms, meant at curtailing public spending and reducing fiscal deficit. She de-layered bureaucracy, broke the power of trade unions by privatizing public sector entities and also gave incentives to the private sector to invest in public services. She rolled back excesses of welfare economy. She was influenced by Hayek, a great defender of classical liberalism, whose ‘Road to serfdom’, although, written in 1940s, became a bestseller in 80s. Public choice theorists Niskanen and Tullock also influenced her policies; they advocated that the size of the public sector needs to be cut back because civil servants indulge in rent-seeking behavior and become an agent of special interest groups at the cost of public interest. The insights given by these economists and political scientists are still relevant and are given consideration by policy makers of the Uk in 2013 too. That said, public sector reforms of Thatcher had mixed impact and that is why Tony Blair, a Labour party leader, won landslide in 1997 on the slogan of Third way- he promised to follow a middle ground between, neo-liberalism and Keynesian Economics. So, I meant to say in my earlier comment that her achievements should have been qualified in an introductory paragraph. Then she could have been compared with our politicians.Unqualified comparison can mislead readers. Man! I wonder if I were reading the transcript of the Documentary the other night on Sky 1 about Maggy Thatcher- write something original dude don’t just paste here what you hear and see on Sky TV. and since I can see that you have pretty much no knowledge of history what so ever- I will take a moment (of joy) to tell you that if she were to be the PM of Pakistan we would have another Kargil, an all out War in Balochistan, rampant Austerity, outrageous taxes (read poll tax), and for sure not to mention Riots on the streets. Yes she is a “beloved” Tory legend here in UK.. Song “Ding-Dong! The Witch is Dead” is hitting top 10, some went further and opened champagne bottles and party in streets (IMO its bit harsh).. some bankers and old Tories are sobbing though..
You have a good point, now tell the Turkish political leaders from the ruling religious party who are just about to bury secularism and send the kemalist military brass to turkish prisons for lfe. The sooner Pakistan democracy hold a trial of the military brass who were not able to defend the country but opted for the take over the tasks of civilian administration with military force, the better it will be for te country..
Thatcher was a leader Who really made a difference. She was sincere to Britain, never afraid of taking unpopular decision. Indeed she was assertive, determined, equally loved and loathed but could never be ignored. She won 3 general elections hence majority trusted her judgement. People seek the “higher being” up in the sky but never bother to look for IT within !